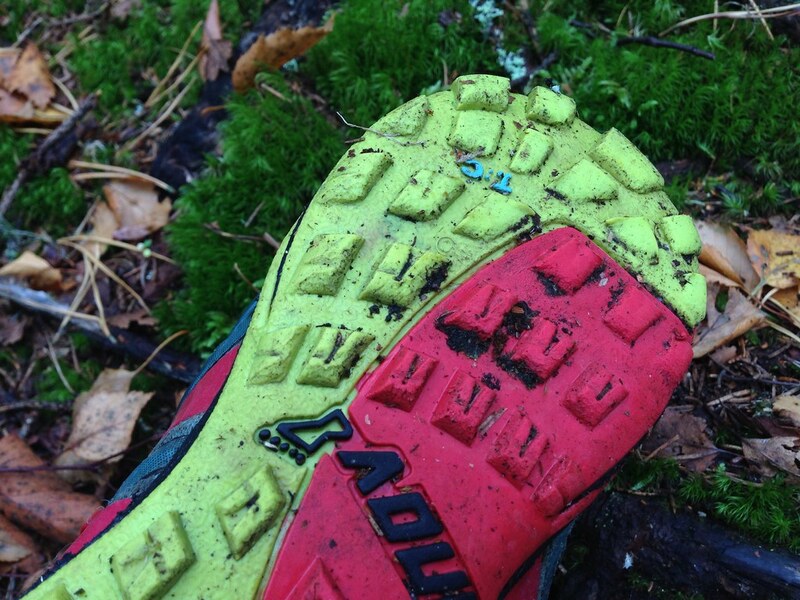 The inov-8 TrailRoc 235 is a minimalistic trail shoe which gives you plenty of grip while being very lightweight. 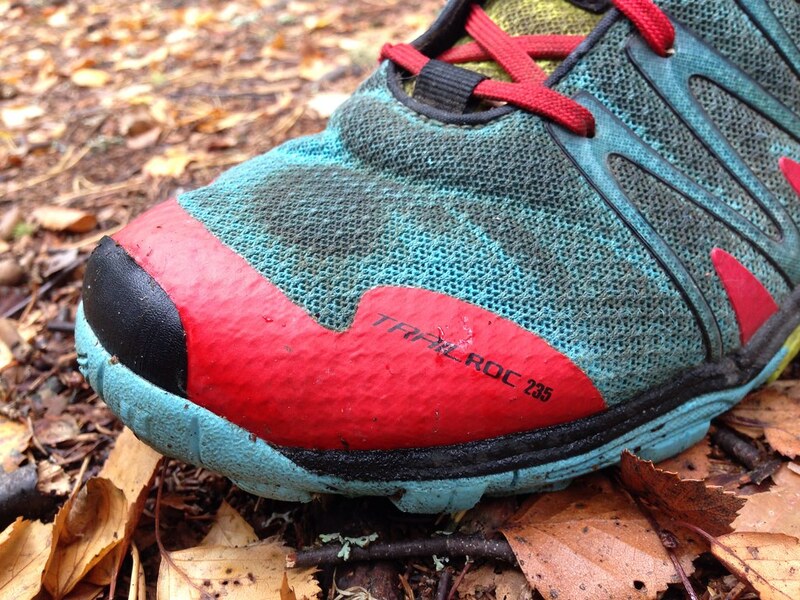 An excellent choice for those who want to try barefoot shoes for hiking and trail-running, the TrailRoc 235 features the new Tri-C Sole and has a fairly wide toebox. A living review. 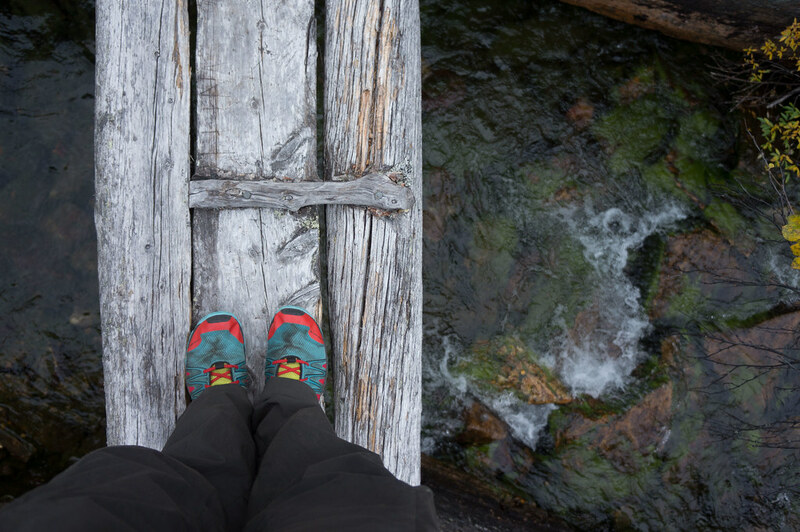 A shoes function is to protect you from, like, stepping on sharp stones with bare feet. Or bumping your toes into roots on the trail. 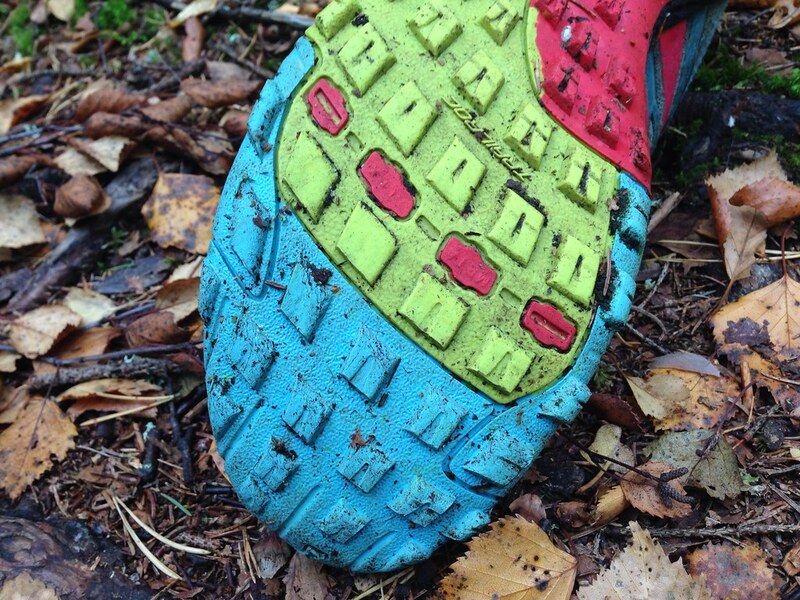 They give you grip on wet, muddy slopes. 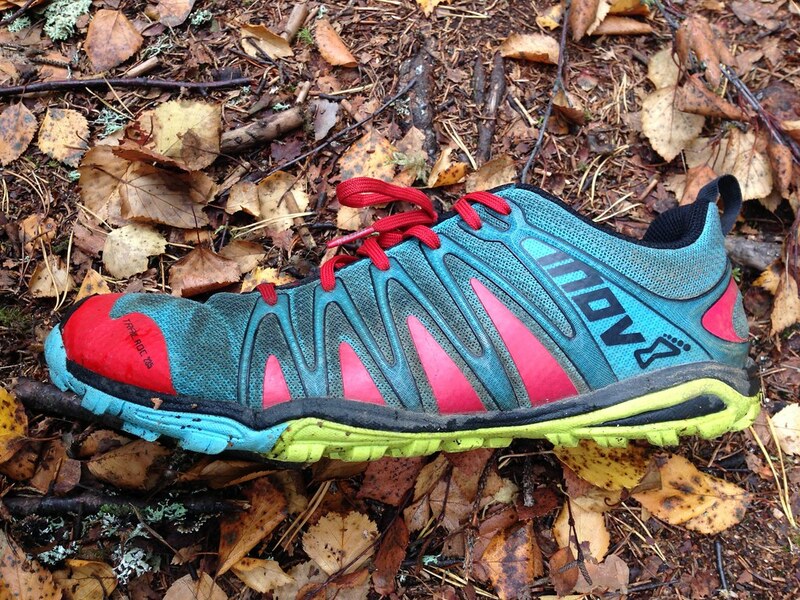 So grip and protection is its job, which the TrailRoc 235 does very well. 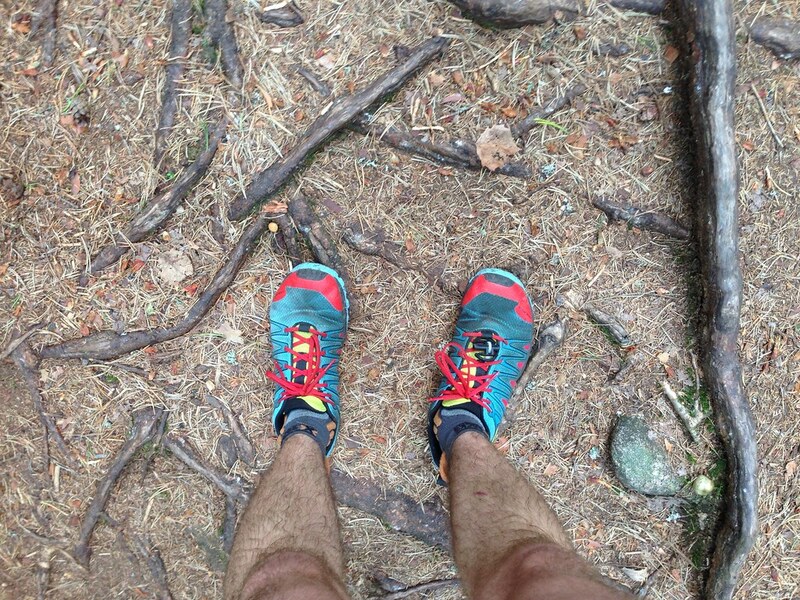 inov-8 shoes fit me perfectly. As I said before, it’s difficult to judge fit - as your feet are different than mine. They have, what I find, a wide-ish toebox which offers plenty of space, and my toes can play piano in them (just, well, I haven’t found a small enough piano yet). Hard to say, though possibly the Tri-C - the three sticky rubber compounds in different hardness - count as an innovation. After only two weeks of trail use its hard to judge on quality, though so far the shoe has held up very well, apart from some parts of the tread already starting to rub off. But then I have been trailrunning and backpacking on a lot of rocks with them, so that’s to be expected. Other than that the shoe has held up very well, with no failures. My pair in UK Size 8.5 is 494 gram, or 247 g per shoe. Not the lightest, but so light that I felt the difference after using slightly heavier shoes. Inov-8 still has a nice little story on their website entitled “Inov-8, the environment and climate change”. Inov-8 has undergone an Environmental Footprint audit, and they tell us about their carbon footprint (Surprise: Shoes & packaging account for only 17% of it - the biggest impact comes from staff travel). 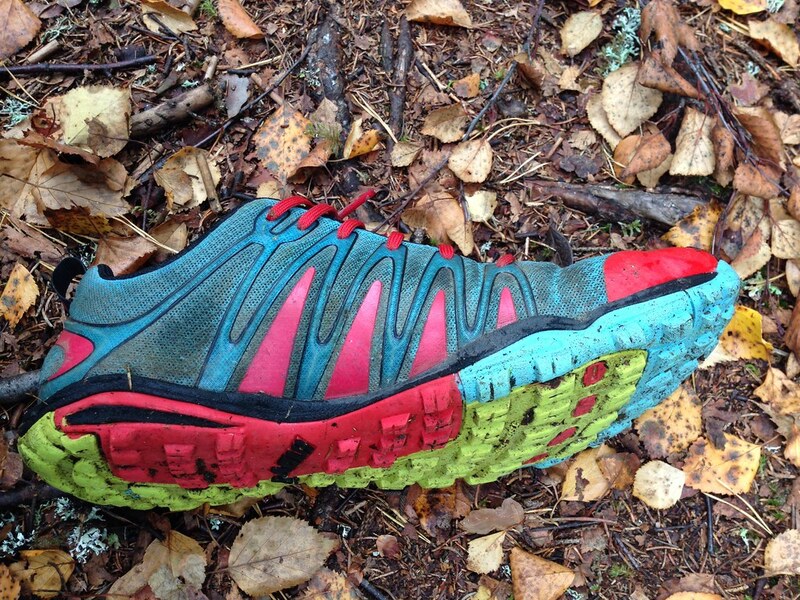 I still am not aware if Inov-8 offers a take-back of their shoes for recycling (via retailers, for example). Another aspect is the ethical question. The shoes are made in China, though that happily nowadays is more positive than in the past. Inov-8 also tell us about their Manufacturing Ethics, in which they highlight that there’s no child labour involved in the making of their products, and that employees are paid above average salaries. All in all I applaud that Inov-8 are transparent in their communications about these matters, though I’d welcome to see a Name & Email there for interested people to contact them, as well as an independent source of the provided information for even more transparency. Recyclability is also still a hard question, though as these hopefully will be in use for another few hundreds of trail kilometres it isn’t yet a pressing question. 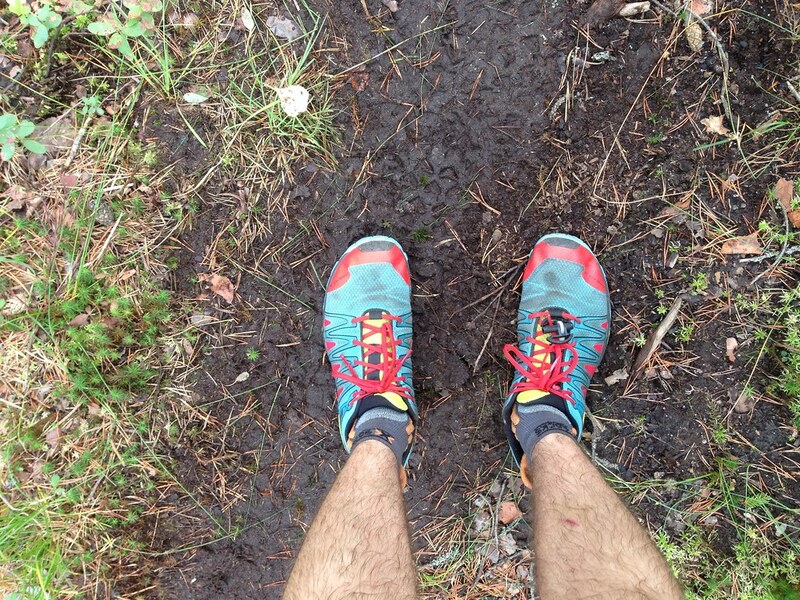 As said above, I used the TrailRoc 235 exclusively for backpacking and trailrunning, and for that I loved them right away. Their first outing they had on a Ultralight Backpacking Basics course, out of the box, fresh and never used before. It’s also where I managed to get them their nice muddy look as we navigated through a swamp. They were dry again an hour later, which I liked a lot. They also dry quickly after wading though a cool river - maybe an hour or two walking in warm temps and the shoes were dry again. Their mesh uppers don’t absorb a lot of water, and the shoe is quite airy - excellent for warm weather, for certain. It’s also stretchy, so if I find that little toe piano, I can insert it and still play it, because the mesh gives way a bit. 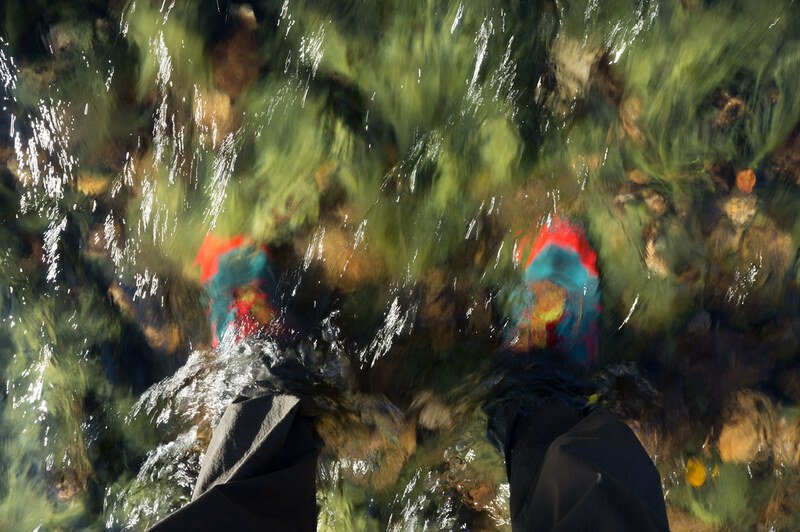 The protection against rocks & roots is good, there’s a toe bumper, a thin plastic coating, which keeps your toes sane when you bump them against rocks and roots. It also helps to prevent getting stuff in, though if sand wants to get in, it will just try its luck via the mesh or that big hole where your foot goes in. The grip on rocks, mud and roots is very good in my opinion, I had no problems fording through rivers/ jumping from wet stone to wet stone. Even slippery and wet roots on forest trails didn’t make me slip, and not even the most slippery thing we have in Finland could stop me: Moist duckboards. The Laces are much better than previous laces on inov-8s I had before, these tended to disintegrated at the top quickly, though these look like new still. They also don’t slip and once put closed (with a double knot) they stay closed. 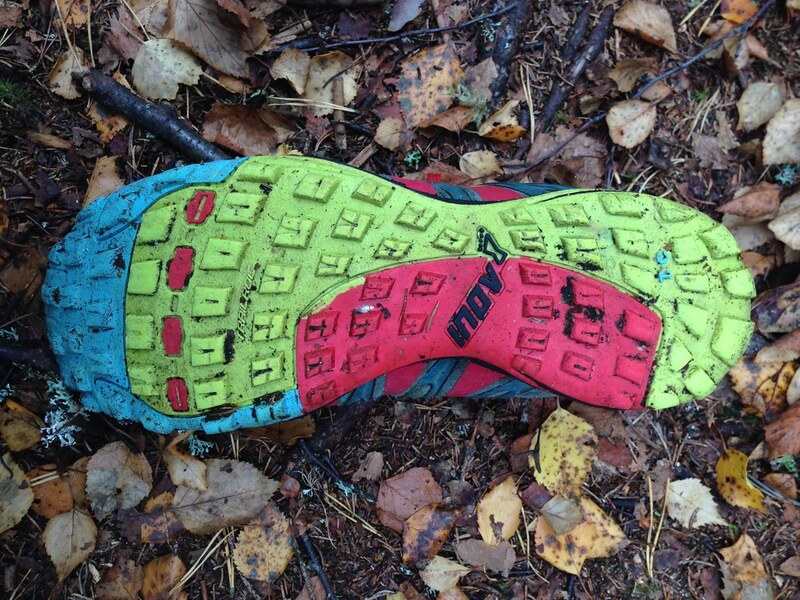 Well, there’s the X-Talon 190 and the Salomon Speedcross 3, but the latter have more cushioning than the TrailRoc here. The TrailRoc 150 and the Bare-Grip 200 are Zero Drop shoes from inov-8, the New Balance Minimus shoes and the Salomon S-Lab shoes. Oh, and Luna Sandals with the Oso also should be considered a competitor. Amongst other, I’m certain! 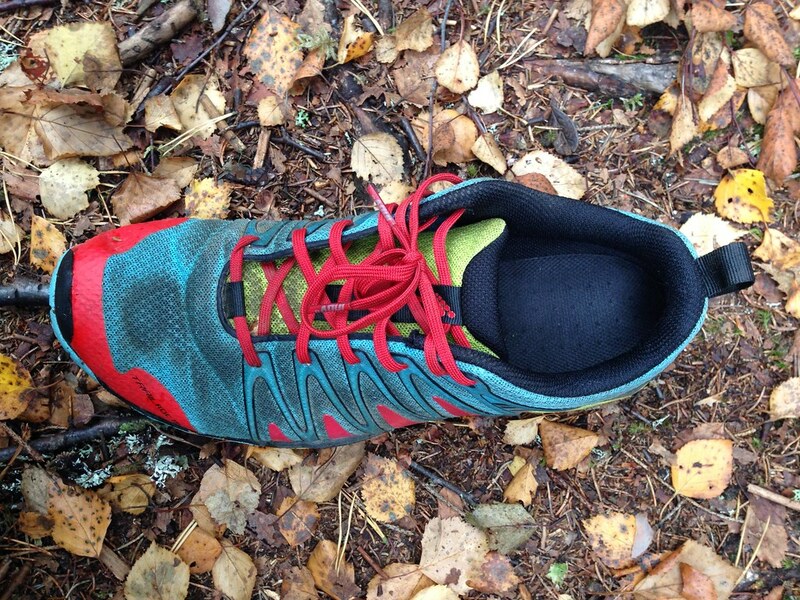 Damien compares his Inov-8 TrailRoc 235 with the VIVOBAREFOOT Breatho Trail, Peter rates them very high and Ryan finds it’s a superb trail runner. 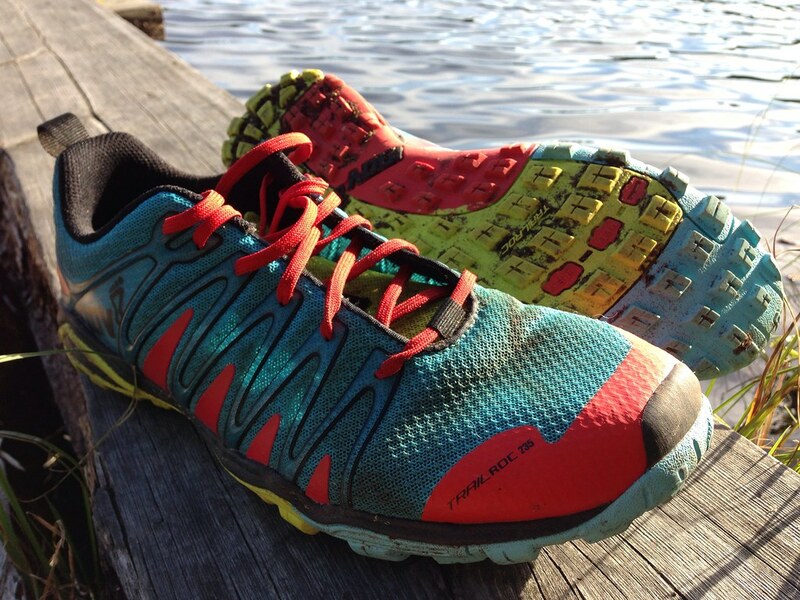 Hiking and running in the TrailRoc 235s has been a pleasure. Great grip, lightweight, nice colours, quick-drying - I couldn’t ask for more. They have carried me safely up the highest mountain in Eastern Finland across extensiv boulder fields, helped me finish my first trailrunning marathon, and I’m looking forward to wear them soon again for late autumn backpacking! Usage after 500 km, 600 km, 700 km, etc.